Yellow roses create warm feelings and sweets share haxZCppiness. 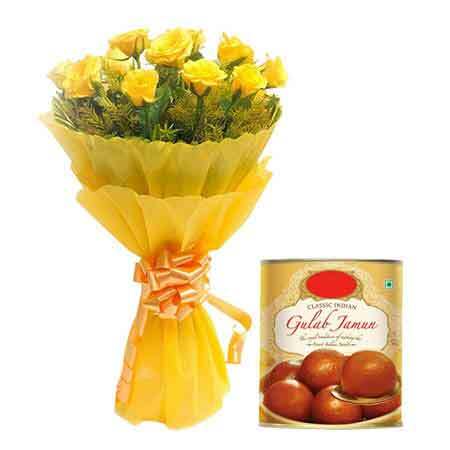 Send this combo pack, specially made for friends and dear ones that includes 12 yellow roses in yellow tissue paper packing bunch and 1 kg branded tin gulab jamun. This is a nice gift to celebrate new beginnings or to congratulate someone.